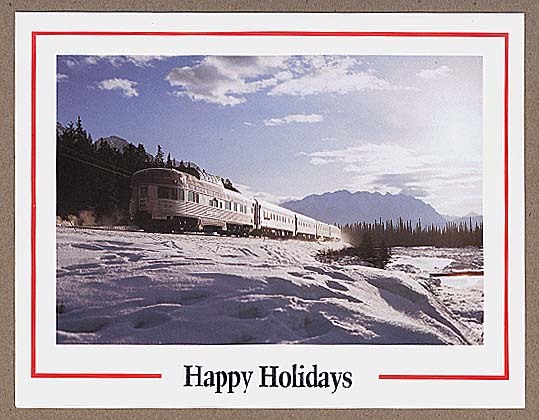 This set features four wintery Canadian train scenes from oil-on-canvas paintings by RFM McInnis. 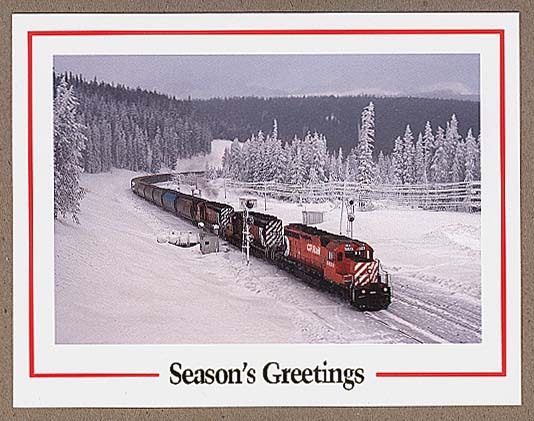 Inside of each card has a short location caption and appropriate holiday greeting. Box includes 16 Greeting Cards, 4 of each scene, with envelopes. 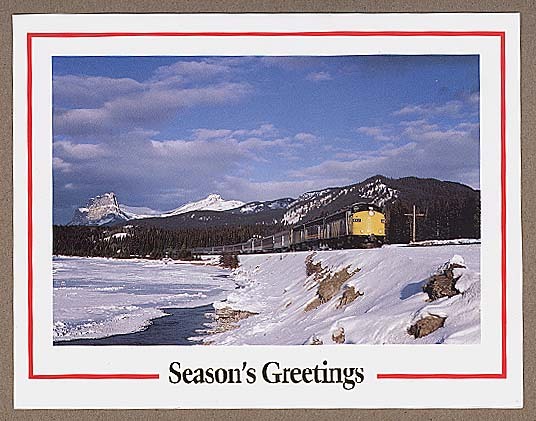 This collection features four mountain scenes of Canadian trains photographed by Glen Brosinsky in the Rocky Mountain foothills of Alberta. 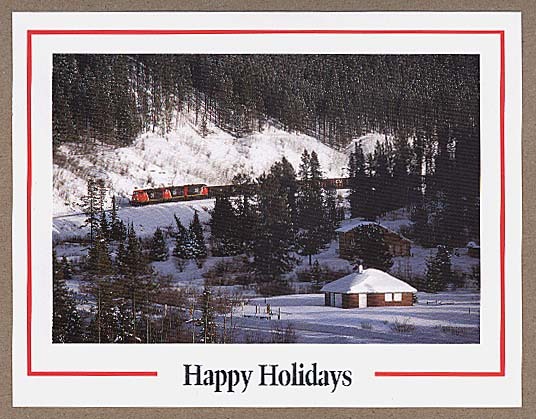 Inside of each card has a short location caption and appropriate holiday greeting. Box includes 16 Greeting Cards, 4 of each scene, with envelopes. Click here to see the post cards.